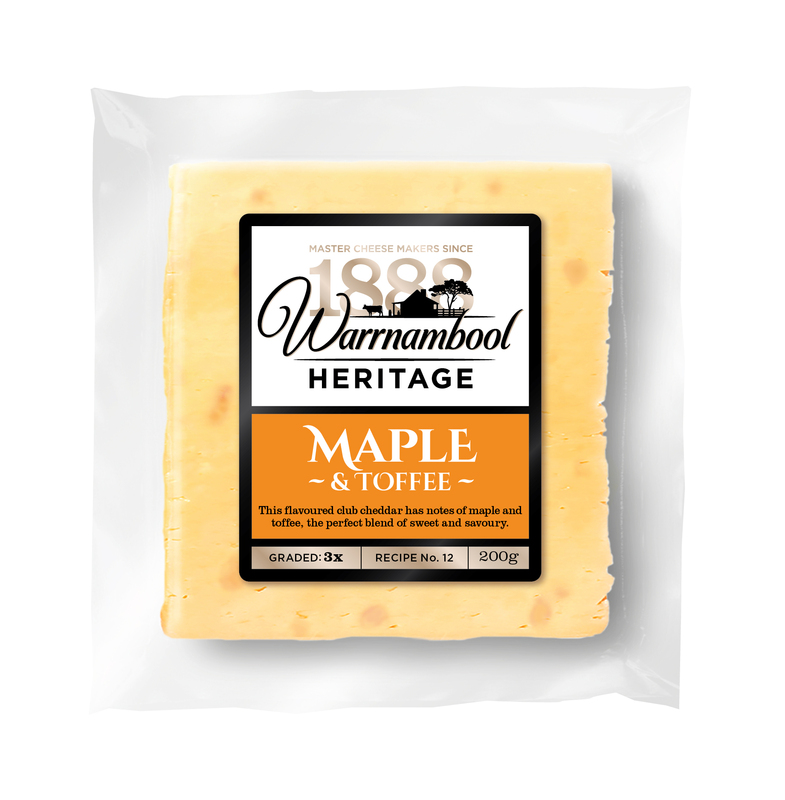 One of Australia’s oldest dairies, Warrnambool Cheese & Butter, has released its new Heritage Flavours range of cheeses. The new range includes Vintage Cheddar, Lightly Smoked Cheddar, Red Bell Pepper Cheddar and Maple & Toffee Cheddar, all of which are available in 200g blocks. The development of the unique cheddars was led by Warrnambool Cheese & Butter Product Manager Philip Forbes-Pryer, who said all four flavours are now available in select IGA stores. “With the new Heritage Flavours range we looked at how we could use different sweet, salty, spicy, and creamy flavours to challenge the traditional cheddar and create flavour explosions in every mouthful,” Mr Forbes-Pryer explained. Marketed as ‘perfect for those with a sweet tooth’, the Maple & Toffee flavoured cheddar is a delicious blend of sweet and savoury, whilst the red bell pepper flakes pressed into the matured club cheddar provides a more subtle spicy sweetness in the Red Bell Pepper Cheddar variety. The Lightly Smoked Cheddar is best paired with fresh fruit and herb flavours, and Mr Forbes-Pryer believes the classic Vintage Cheddar is ‘sure to be a crowd pleaser’. “The range allows for people to enjoy anything from our more classic Vintage Cheddar or something a little unexpected – like my personal sweet tooth favourite – the Maple & Toffee Cheddar,” he concluded.